I arrived in Galena this afternoon. There were already mushers that have checked in and some that have even checked out. A lot of teams have decided to take their mandatory 24-hour stop in Galena. 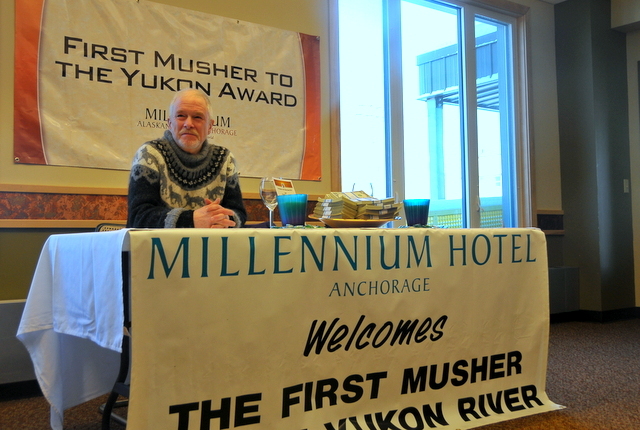 Jeff King was the first musher into Galena winning the Millennium First to the Yukon Award. Jeff was awarded a 5-course meal cooked by a Millennium chef and $3500. Since Jeff came in at 4:37 a.m., he opted to take his meal later in the evening. With the checkpoint building itself very full and busy, the dinner was served at the school cafeteria a couple of blocks away. I headed over to the cafeteria a little early to see what I could find out about the school. I arrived during the perfect time, dinner. GILA, Galena Interior Learning Academy, is a public boarding school. When I think boarding school, I think expensive tuition. That is not the case at GILA. GILA is a public school that is funded by the state. They also receive a stipend per student since they are a boarding school. The only fee parents have to pay is $150 per semester, and if they can’t afford it, they are helped out. Students do have to apply to attend GILA and only about 50% of applicants are accepted. 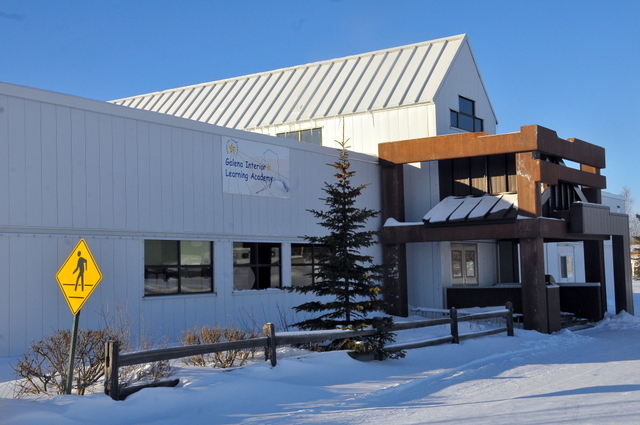 GILA’s goal is to provide the highest quality education to the families of Alaska. This school is a remarkable option for families be able to provide their children with a high quality education. GILA offers classes that just aren’t available to students in small villages. Since I arrived early to the cafeteria I sat down with some students while they enjoyed their dinner. They were more than willing to talk with me about their school. 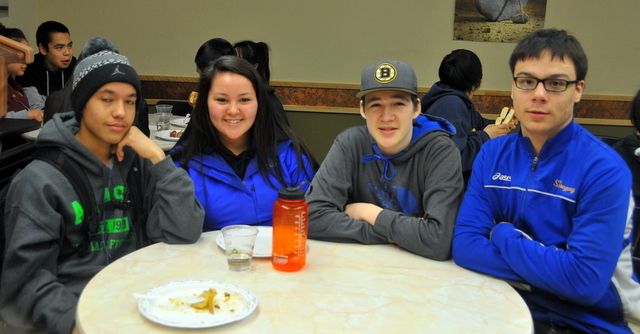 The four students sitting around the table were from all different villages across Alaska. The students explained to me the many different classes that are offered at GILA. The kids at GILA have the opportunity to take classes that specialize in certain trade skills; aviation, automotive, carpentry, electricity, welding, culinary arts, and cosmetology. As we were talking I noticed the delicious looking meal they were all eating. I asked them if they have to pay for a meal plan. All meals are free, room and board is free, books are free, the only fee is a $150 per semester fee per family. GILA also offers many extra curricular activities for students. Some of the sports are; basketball, cross country, wrestling, swimming, cross country skiing, and volleyball. GILA also has a high quality music and arts program. Music and arts is not offered during the school day, instead it is provided for the students in the evening. Students have the convenience to be involved in theater, improv, speech, drumming, and even their own bands. In the evening students can hang out at the student union, which gives students options to watch movies, play pool, play air hockey, shop at the store, and even hosts dances. The students were overjoyed that the Iditarod was coming through their village. 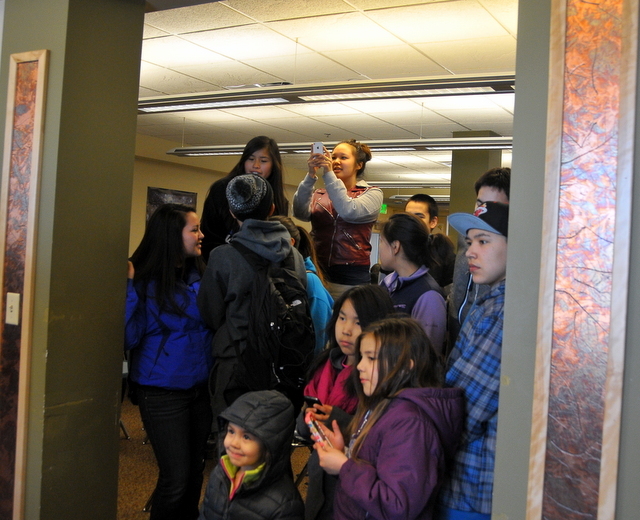 For a couple of students this was their first year at GILA, so this was the first time they have seen the Iditarod. Another thrilling moment for the students is Jeff King coming to their school to enjoy his winning meal. The kids gathered around to watch and take pictures. One student was more excited to watch the chef cook as she is interested in culinary arts. GILA is a fabulous opportunity for kids in Alaska. So many kids do not have access to many classes and GILA is providing this for so many families. An administrator told me there is talk about possibly expanding the school to provide education for junior high ages students. GILA is incredible for the fact that students will be prepared for a career right out of high school. Many of these students will not go to college, definitely not for lack of intelligence because GILA prides itself on high academics. Many will not go to college because they will return home to their village and continue the lifestyle their family has lived for years. After attending GILA and earning an outstanding education, they are now ready to begin their life with the skills to take them far.